Free Special Report and DVD! For over three decades Swiss America has provided Americans with tangible financial alternatives and a portfolio diversification formula proven to protect wealth over time. Unlike every other form of money on earth, Gold has a 4,000-year history of preserving wealth and offering instant liquidity worldwide, while offering you a way to maintain your personal privacy. Let Swiss America help you secure your assets with a "personal" gold standard. Then you can enjoy a secure and peaceful life, no matter what happens! 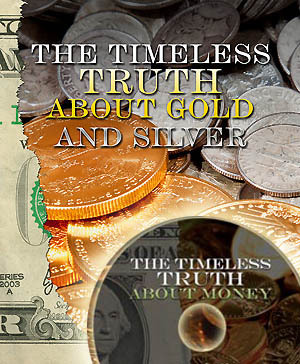 It's never too late to discover the timeless truth about money and then take action! Call 800-289-2646 or register now! A Swiss America representative will promptly call to confirm your address, prior to shipping your materials. For immediate assistance, contact us at 1-800-289-2646. Where did you hear about Swiss America? PLEASE NOTE: Must have valid phone number to process order. PRIVACY STATEMENT: We provide our clients with the highest quality of service and privacy at all times. All information is kept strictly confidential and is never sold or exchanged with any other entity. YES! Please send me more information by mail. A Swiss America representative will promptly call to confirm your address prior to shipping your materials. For immediate assistance, contact us at 1-800-289-2646. SWISS AMERICA and Block Logo are registered trademarks of Swiss America Trading Corp.